Savvy marketers are steeped in analytics and stuck on bottom line results these days. That's a big problem when it comes to content marketing. We all know that matching customer wants and needs with messaging is the driver for content marketing success. But finding out what those needs are and how to turn them into contagious content that straddles the bottom line is challenging. Until now. 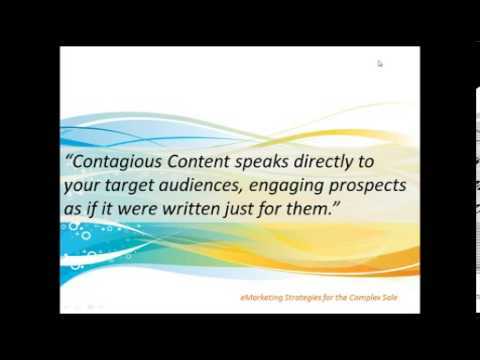 Join host Byron White and Ardath Albee, author of eMarketing Strategies for the Complex Sale, for this month's content webinar.